Approximately 85% of our pets will have dental problems by the time they are 3 years old. The most commonly seen problem is periodontal disease, But what can be done to prevent these problems? 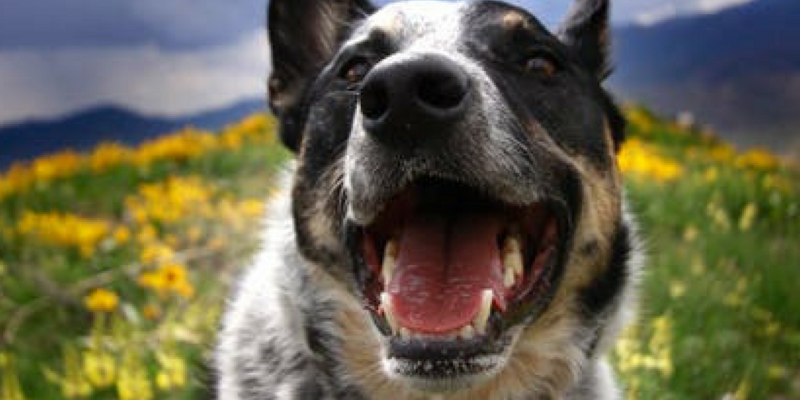 Here are some useful tips for keeping your pet’s teeth in tip-top shape. Brushing your pet’s teeth daily is basic preventive care. It promotes healthy teeth and gums. There are a lot of brushes and toothpastes available. Toothbrush: Choose a soft bristled toothbrush (either for pets or for humans). Using hard bristled brushes can cause trauma to the gums. Toothpaste: human toothpaste contains ingredients that are toxic to cats and dogs, so be sure to select a pet-specific toothbrush. It will take some time for your pet to get used to the taste of toothpaste, but you can start by using only the brush. Brushing is actually the most important part of the process. As this becomes a daily routine, your pet will become more comfortable. Reward your pet a walk or a treat (positive reinforcement) after you’re finished. This will also help your pet to respond well to dental maintenance. Many brands produce pet food that supports healthy dental health. Besides specific formulation, its kibble shape, size and texture positively affect your pet’s teeth. Your pet essentially “chews” and “brushes” at the same time! Chewing also enables saliva production, which helps avoid bacterial plaque. For those who believe bones are good for keeping teeth clean: they are NOT. Bones can either hurt teeth and gums or cause serious gastrointestinal problems like constipation or choking. Be mindful of this before offering your pet a special treat. A “canned food only” diet may not be the healthiest choice, both nutritionally and and in dental terms. If there is no mechanical action (brushing, chewing), food residue will cling to teeth . Some treats and toys have been developed for dental care. Various shapes and textures promote the mechanical cleaning of teeth. However, treats should be limited–they’re still TREATS! Chewing toys like ropes should be given with caution. This can hurt gums and teeth and possibly cause your pet to choke. Products advocating dental benefits should really be discussed with your veterinarian. Some are successful in preventing or treating specific dental or oral disease. You’ll want to select one that is reputable and effective. Your veterinarian might suggest some preventive dental treatment like tooth extraction or plaque removal. Tooth extraction is suggested when your pet has a broken or infected tooth which is damaging the gum and causing pain and inflammation. Plaque removal is advised for pets who have a large amount of tartar on their teeth. In order to properly remove plaque and reduce pain and discomfort, the procedure requires general anaesthesia. Oral and dental health can be evaluated by your veterinarian in routine visits. It is important to see the vet every 6 months as some changes are not visible to the human eye. Also, dogs and cats tend to hide when sick or in pain. Now you know exactly what to do to bring on the healthy smiles!